-------------------------------------------- Adventure across Disney worlds! -------------------------------------------- The KINGDOM HEARTS story begins here! 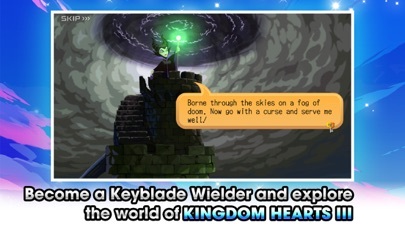 Meet faces both familiar and new as you become the hero of your very own tale! 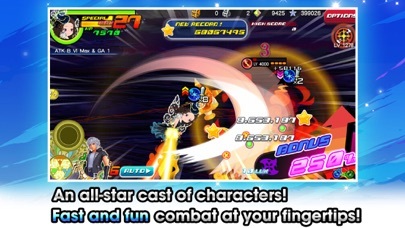 -------------------------------------------- Fight alongside an all-star cast! -------------------------------------------- Tap and swipe to execute mighty attacks! Equip character Medals featuring beloved Disney and FINAL FANTASY characters to call on their strength in battle! Customize your equipment and find new strategies to overcome fierce enemies! -------------------------------------------- Many ways to play! Play with up to 6 friends in real-time multiplayer quests! 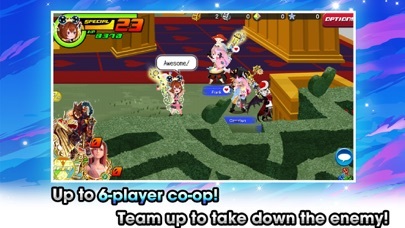 -------------------------------------------- Cooperate with friends to explore stages and tackle fearsome foes! Unlock the Coliseum by playing through the story quests and compete against others to climb the ranks! -------------------------------------------- Express yourself with customizable avatars! -------------------------------------------- An ever-growing selection of parts lets you make your very own avatar! 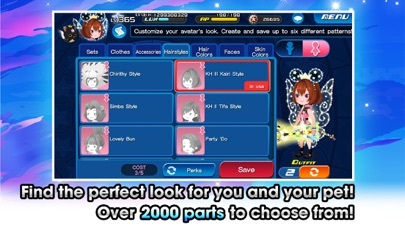 Let your creativity run free as you choose from seasonal, event, and character-themed avatar parts to put together a unique look!